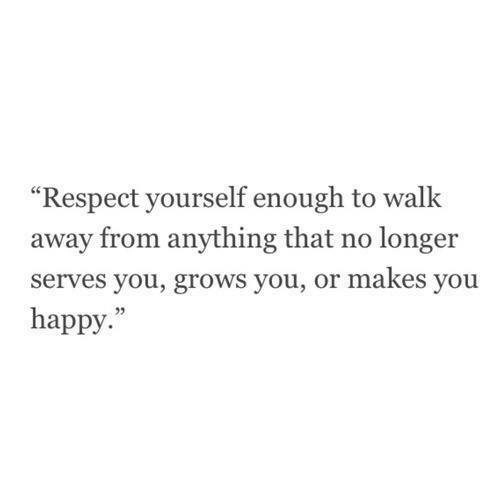 Respect yourself! – Workaday experiences to cherish..
We know ourselves best, and we need to love ourselves most. Love for self is what’s going to ensure we don’t drain our energy, spirit, and ability to love on things and people that do not deserve it. Our time and energy is the most important currency ( we have much more important than $$), we need to prioritize who and what we spend it on. The bulk of it would be best served spent on ourselves, and those we care about the most. If we don’t have love for ourselves, we have no business seeking love from others. That is not going to lead to a balance relationship, nor will it last very long. Often we can feel obligated to put ourselves around people and things our heart has no connection to, and that can drain us to a hollow shell of who we really could be. Though loving ourselves will help us with what we want in life, it’ll also protect us from the things we don’t. It will gives us the strength to walk away from toxic people and situations, regardless of the details. The outside world cannot read your mind, or feel your heart, so when it comes to what’s going to keep you happy and fulfilled, they’re opinions should mean very little in comparison to the voices you have inside. When we continue to strengthen the love for ourselves, we will become less dependent on seeking love from others, and instead will have an abundance of love to share with those who matter most. Read it on Humble the poet’s way.. Made me think! Next postJust one of those days! I don’t agree with first line. However nice attempt.